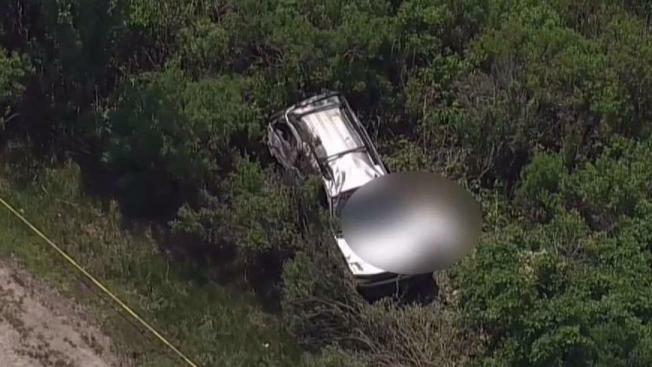 Three teenagers were killed when a 15-year-old girl driving a stolen SUV lost control and crashed on a Long Island parkway Friday, a violent rollover accident that launched the vehicle off the highway and into thick brush, state police said. State police say all three people who died -- Herbert Leo Aviles Maravila, 16; Marlon Carbajal, 15; and David Sanchez, 13 -- were ejected from the vehicle after the apparent high-speed crash on the Meadowbrook State Parkway. Ten people were in the car at the time; there weren't enough seat belts for all of them. "We have witness statements that reported the vehicle was traveling at a high rate of speed," a police spokesman said. The seven who weren't killed -- an 18-month-old boy and five teenagers -- were hurt, but all are expected to survive. The 15-year-old driver is among the survivors. It's not clear where the group was headed when it crashed around noon crash in the southbound lanes near Merrick. The SUV had been stolen out of Roosevelt a day earlier and police say it was seen weaving in and out of traffic before the crash. It flipped over several times before landing in the marshy area, authorities said.